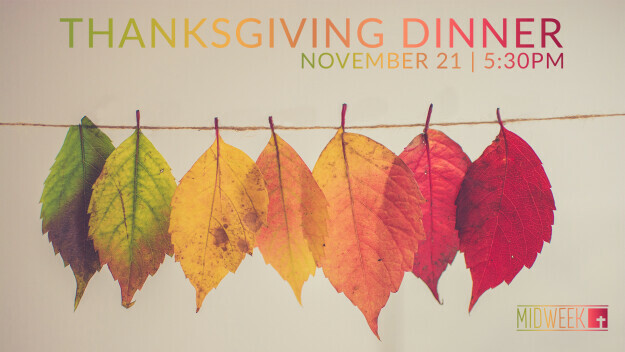 We are pressing pause on all MIDWEEK activities tonight in order to come together for a Thanksgiving Dinner at 5:30PM. The church will provide turkey, mash potatoes, green beans, and drinks. Everyone is invited to bring their favorite dessert to share! There will be no childcare, WOLKids, MYC, or adult small groups meeting tonight.